Scientists at the Zentrum für Sonnenenergie- und WasserstoffForschung Baden-Württemberg (Centre for Solar Energy and Hydrogen Research Baden-Württemberg, ZSW) have developed top class lithium-ion batteries. 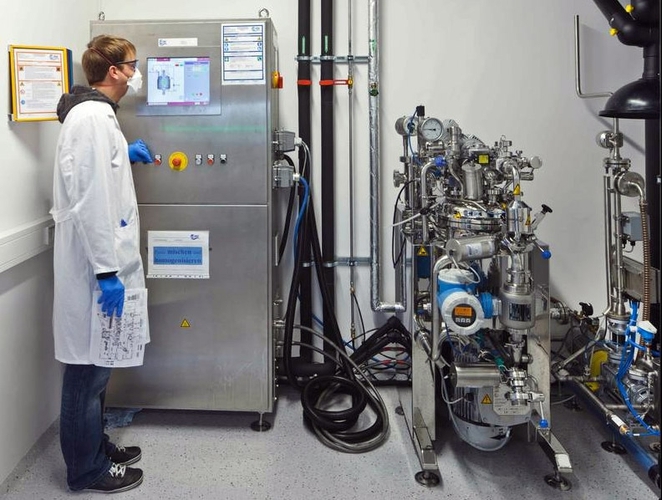 In terms of the cycle stability – an important parameter for the lifetime – the high-performance cells now exceed the current international state of technology: more than 10,000 full cycles have been achieved so far. With other values, such as the power density, the batteries are equivalent to those produced by the leading Asian manufacturers. The active materials for the batteries exclusively originate from German companies. ZSW has designed the cells, developed the manufacturing process and produced a small sample series in the 18650 format. The technology has created the basis for anufacturing large size pouch cells and large size prismatic cells. Lithium-ion batteries are intended for use in electric vehicles and as solar power storage systems. “After 10,000 complete charging and discharging cycles with a complete charge and discharge cycle per hour (2 C), our lithium batteries still have more than 85 % of the initial capacity,” reports Dr Margret Wohlfahrt-Mehrens, Head of the Accumulator Material Research Department in Ulm. “That also provides excellent prospects for a long calendar life.” A long service life, such as for electric mobility, is an essential requirement from automotive companies. Batteries with the lithium-ion technology must be able to do their work in cars for at least ten years without the battery capacity dropping to less than 80 % of the rated value. 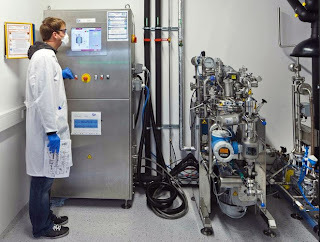 Because the institute for applied research in Ulm has such a detailed understanding of the processes in the cells, this has also led to excellent values with the other parameters: for example the cells have a power density of 1,100 watts per kilogram, which is also at an international level. The power density quantifies the available power per weight. For an electric vehicle this figure means short charging times and an excellent acceleration capability. The small cells are produced semi-automatically in a plant in the ZSW Laboratory for Battery Technology (eLaB) in Ulm. The cell development has been funded by the German Federal Ministry of Education and Research (BMBF) and the German Federal Ministry of Economics and Technology (BMWi). Such research contracts enable interested companies to have new materials and processes evaluated without having to stop their own production. In a next stage the researchers and engineers at ZSW want to develop electrodes for large prismatic lithium cells together with partners from industry. “It’s essential to master the currently demonstrated cell technology before going on to produce large cells,” explains Margret Wohl fahrt-Mehrens. She says that although further research and develop ment work is necessary for the technology’s implementation in large cells, upscaling is in principle possible.